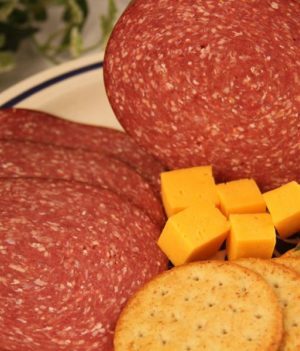 Canadian Fine Aged Cheddar is aged for a longer period of time giving it a much stronger, or “sharper” flavor. 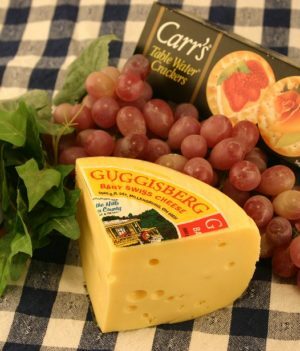 Strong, mature Cheddar, sometimes called vintage, needs to be matured for up to 15 months. Our Canadian Fine Aged Cheddar is aged for four years. 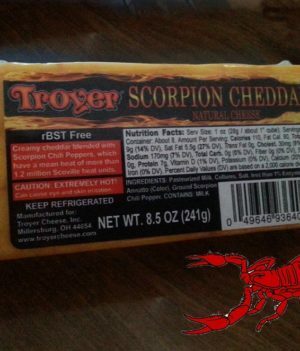 The cheese is kept at a constant temperature often requiring special facilities. 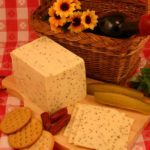 “Cheddaring” refers to an additional step in the production of Cheddar cheese where, after heating, the curd is kneaded with salt, then is cut into cubes to drain the whey, then stacked and turned. 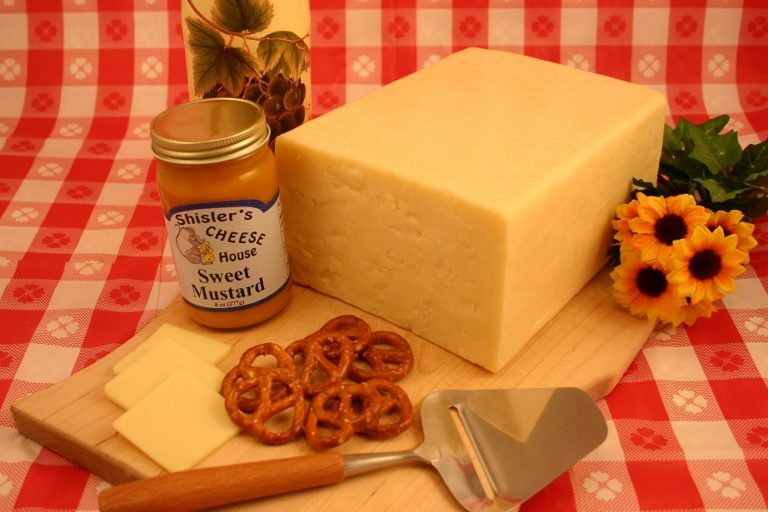 Our other cheddar products include milder white and Orange Cheddars. 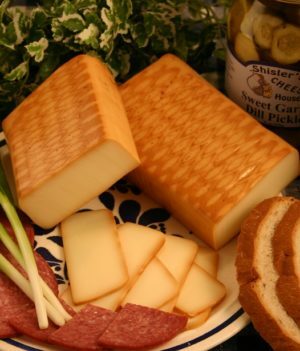 We also carry flavorful variations of Cheddar including Smoked Cheddar. Garlic Cheddar, Horseradish Cheddar, and Bacon Cheese. We even have fresh cheddar cheese curds which have become increasingly popular in recent years. 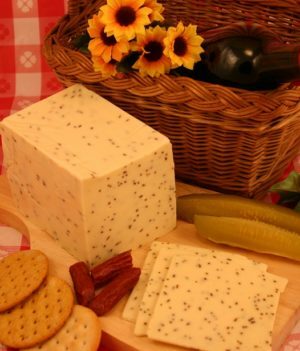 Cheddar cheese has been produced in England since at least 1170. A pipe roll of King Henry II from that year records the purchase of 10,420 lb. at a farthing per pound. 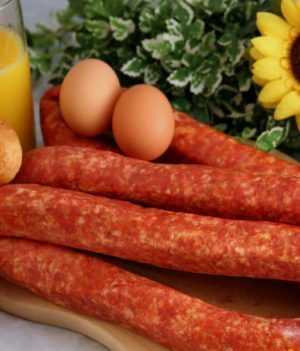 One suggestion is that Romans brought the recipe to Britain from the Cantal region of France, where it was adapted. 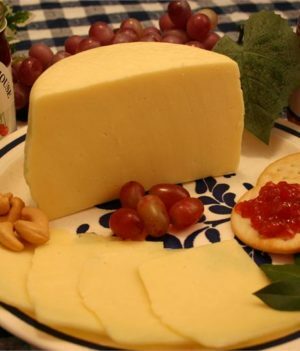 Central to the modernization and standardization of Cheddar was the nineteenth century Somerset dairyman Joseph Harding. 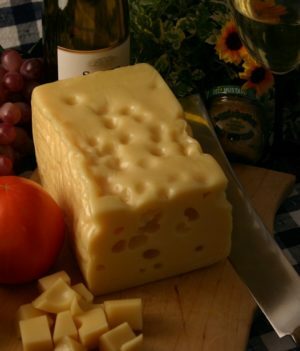 For his technical developments, promotion of dairy hygiene and unremunerated propagation of modern cheese-making techniques he has been described as the father of Cheddar. 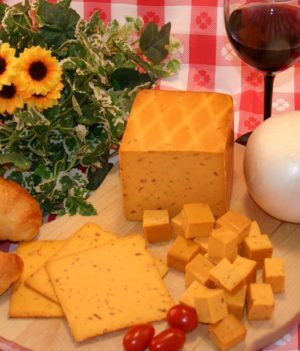 he sharp and pungent flavor of Cheddar pairs well with Zinfandel, Syrah, and Merlot red wines. 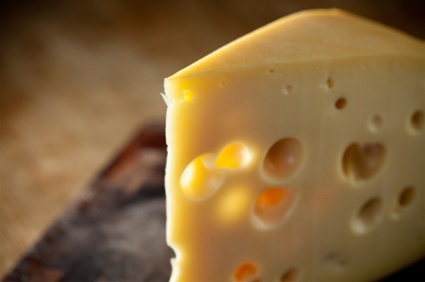 White wine lovers can enjoy Riesling, Pinot Gris, or Sauvignon Blanc with their Cheddar. 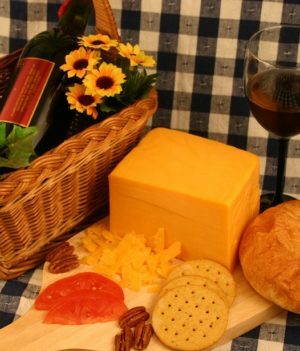 The most sophisticated palates will pair their Cheddar with fine Port, Madeira, or Brandy. 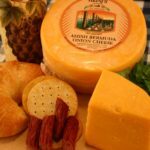 Cheddar also pairs well with Pale Ale, Porter, or Stout for beer aficionados, and even ciders and fruit beers for those with a more delicate palate. It can even be enjoyed with good Scotch.